Collier was only three when she made her stage debut in 1881 as Peaseblossom in A Midsummer Night’s Dream. 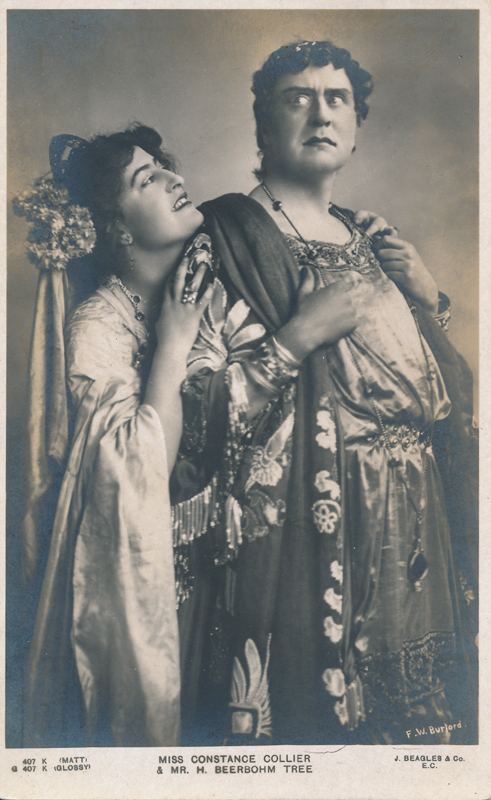 She was once a show girl—one of the popular “Gaiety Girls”—but she wanted to play more serious parts, so she joined Herbert Beerbohm Tree’s company and started playing in most of his important productions, many of them Shakespeare’s plays, from 1901 until 1908. This was fitting for Collier as she was notably tall and complimented the equally tall Beerbohm Tree. 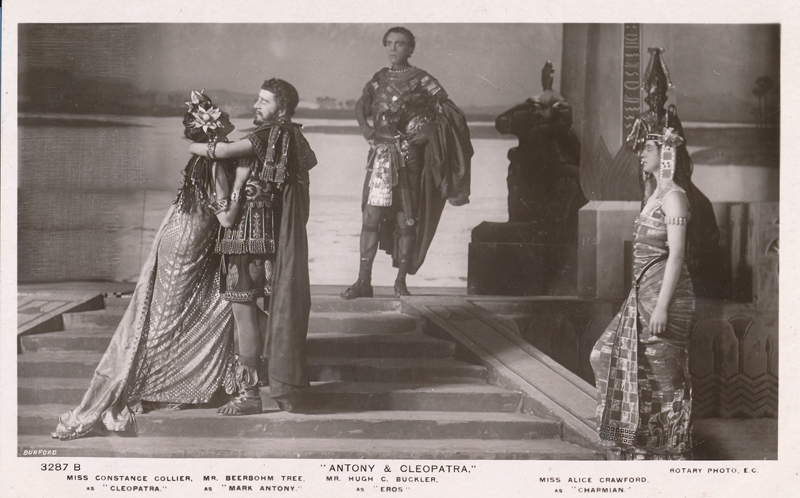 The pinnacle of their work together was Shakespeare’s Antony & Cleopatra which highlighted Tree’s attention to lavishly realistic sets and costumes. 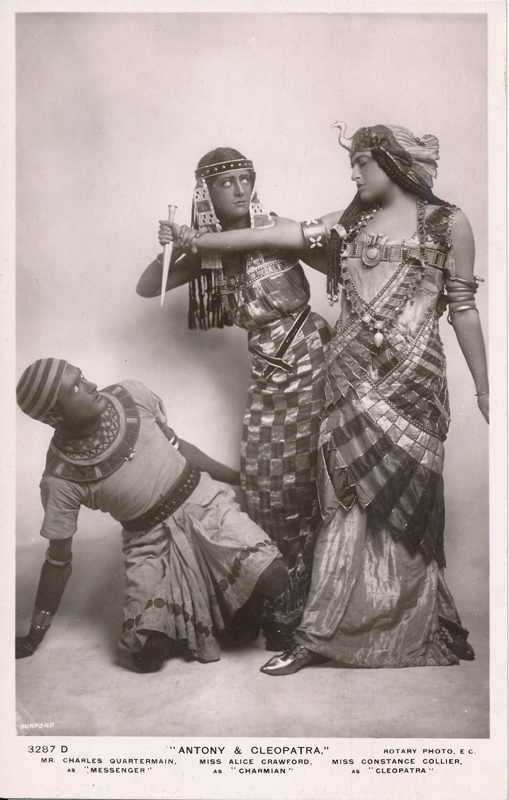 Collier, as Cleopatra, was outfitted spectacularly, setting the stage standard for all productions to come. She made her New York debut in 1908 and then played both sides of the Atlantic with equal popularity and success. 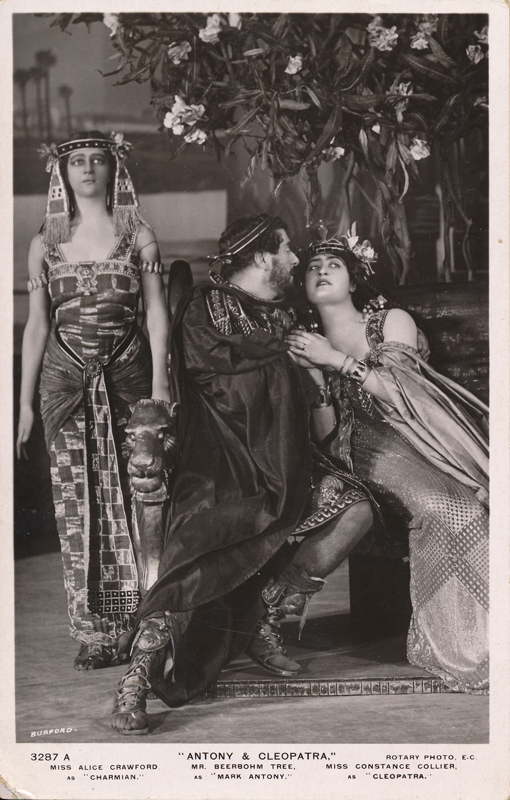 One of her critical triumphs was as Gertrude in John Barrymore’s London production of Hamlet. 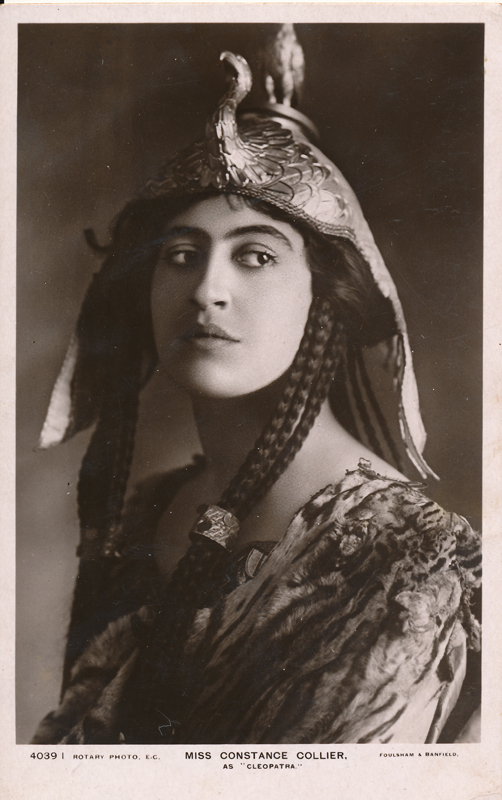 In 1916, she and Tree traveled to the US to make four silent films, including the disastrous Macbeth. In 1918, her husband, actor Julian L’Estrange, died from an influenza epidemic. Later in life, she became an influential drama coach and worked with a young Marilyn Monroe on her way to fame. She published her memoirs Harlequinade in 1929.